Thank you for making this the best BHW Launch Weekend yet! The BHW Ltd. team had a Blast with You! 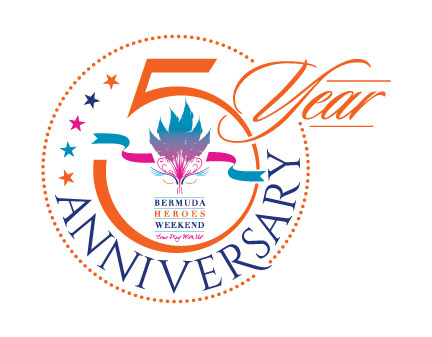 Without question, this was our most exciting Launch ever for Bermuda Heroes Weekend. From an ultra-lit Happy Hour to that enlightening Panel Discussion, to our lavish Gala, and of course, the amazing display of the costumes we will all be wearing on Parade day; this was a terrific start to our 5-year anniversary celebration! All of this though, would not have been possible without our kind and very generous sponsors, Burrows Lightbourn and Savvy Entertainment. Their support made a world of difference this weekend, thank you so much! We must also express our heartfelt gratitude to Channel 82 for working with us, to host the Panel Discussion, as well as bring the Band Launch Live to viewers across the globe. Given the overwhelming positive feedback, we are looking forward to coming together once again to continue promoting our beloved culture with you. Special mention must be made to the entire BHW Committee, along with the bands, Party People, Code Red BDA, and NOVA Mas International who showed up and demonstrated the true meaning of, teamwork making that dream work. We sincerely appreciate each and every one of you. And if this is how we launch, the world had better get ready for the Vibes we will be bringing for BHW 2019!. Last and most assuredly not in the least, we want to thank You, the dedicated party patrons who came out, and/or tuned in to this wondrous weekend with our team. All of this was for You. We felt lucky to witness your enjoyment in every message, smile, and rotating waistline all weekend long. Thank you for this monumental Launch, and we are looking forward to bringing you even more soon! Stay tuned everyone, as we have much more in store…Thank You!